NTEN Members never fail to inspire us. Here’s the latest news and events from our Members that has us smiling. 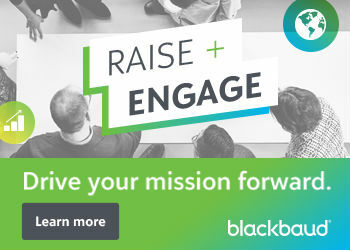 There’s a terrific schedule of sessions and an all-star lineup of speakers (including NTEN Members, Steve McDonell of ACHIEVA and Beth Kanter) planned for the Bayer Center for Nonprofits’ upcoming Tech Now Conference in Pittsburgh, PA. Make sure to register by Sept. 30 to get early-bird pricing. Going to Salesforce’s annual Dreamforce in San Francisco this October 13-16? Make sure to RSVP for Idealist Consulting’s free Engagement Party on October 15 for social changemakers like you. Two words: photo booth. Online fundraising is on the rise, and Nonprofit Tech for Good has 10 Online Fundraising Best Practices to help guide you, complete with examples from nonprofits doing it right, like NTEN Member, MercyCorps. Congratulations are in order for Cloud4Good, who made the Inc. 500 list this year! Is “teacher” on your future job list? Teach.org has a new video sharing 7 reasons why being a teacher is awesome. Speaking of video and things that are awesome, See3 shares their top tips for making video work for your organization. Before you purchase that shiny new software, Norman Reiss lets you know what to ask your next software vendor to help ensure a smooth transition. Are you using mobile apps for social change? Zero Divide is hosting a series of TweetChats on mobile for social impact this month, so mark your calendar and join in the Twitter discussion. Feeling overwhelmed already by a busy fall calendar? MomsRising has 6 ways to help you stress less and simplify. Even a 5 year-old volunteer can make a huge impact. Points of Light profiles an inspiring volunteer making a difference from an early age. If you’ve got some happenings and news of your own to share, let us know and we’ll feature it in an upcoming Member Roundup! 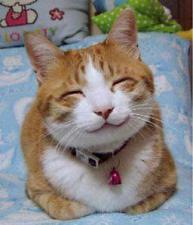 Image credit: Yumi Kimura from Yokohama, JAPAN (so happy smiling cat) [CC-BY-SA-2.0], via Wikimedia Commons.